How Far is Viridian Red Wtc Riverside Residences? Changing international trends, rising competitiveness and the need for real time responsiveness have driven business beyond the workplace, and into the very core of our lives. As business becomes more overpowering, seeking a balance between work and personal life becomes all the more important. Riverside Residences, exclusive suites at the World Trade Center, Noida offer a living experience that helps create a synergy between work and life. Three words define the ideology of Viridian. Everything that we seek to achieve can be summarized in the words – Transform. Impact. Inspire. Transform the existing landscapes, processes and ecosystems to create or formulate something better. To drive economic, social and environmental changes on a large scale. Impact the business arena we work in and beyond. We strive to provide innovative products, services and solutions, and reduce inefficiency and wastage of resources to build a better today and a greater tomorrow. Inspire with the way we do business – ethically and transparently. We continuously set new benchmarks for performance by driving the highest levels of productivity, efficiency and sustainability. VIRIDIAN RED is widely recognized as a catalyst and for its leadership position in the real estate landscape. With a vision to deliver innovative and quality real estate solutions in India, Viridian Real Estate Development was established as a vital part of Viridian’s integrated development platform, comprising of investments, development and asset management functions. Viridian RED is highly awarded and recognized for its development of mainstream global landmarks and related ecosystems that deliver growth through innovation and excellence. Viridian RED firmly believes its fundamental purpose is to help create wealth and security for its customers and therein all other stakeholders. 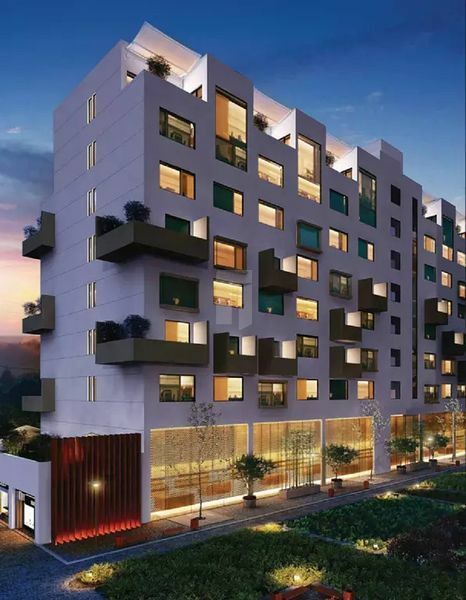 Thus, across its projects the focus is on LTAV or high capital appreciation with the highest levels of income generation and rentals across both commercial and residential asset classes. With a 20 million sq.ft.of commercial office, hotels, and residential units developed or currently under development, the Group is a strong proponent of sustainable development. Its ‘Mainstream Green’ philosophy has had an outsized impact, not only on its teams pursuing the challenge, but also on the green building movement as a whole, and each of the communities where Viridian’s operations are located. Viridian RED is further setting new benchmarks by taking the immense potential of the World Trade Center to all of India. The company has already identified important centers of commerce that will be key drivers for growth and has planned a strategic roadmap for a comprehensive rollout of WTC’s across India and ASEAN.